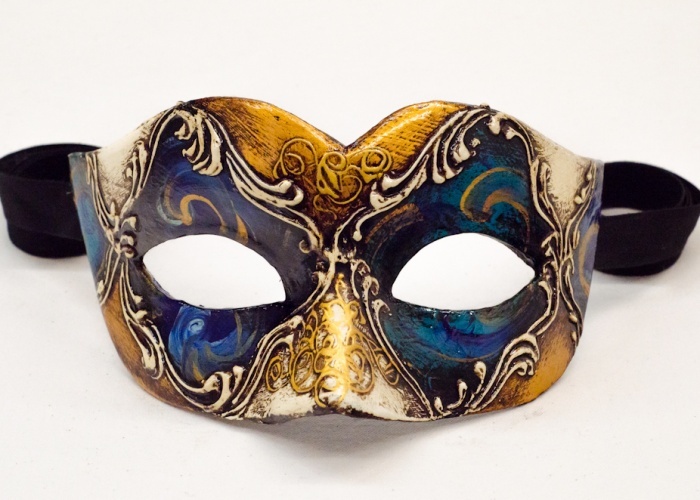 An elegant Venetian mask featuring a blue, gold, and white diamond pattern. Different areas of this carnival mask are embellished with stucco relief. The mask's finish has an antique effect and glossy varnish.